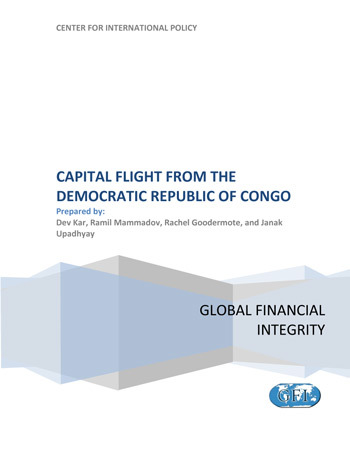 This briefing paper, analyzing illicit financial flows from the Democratic Republic of the Congo (DRC), was Global Financial Integrity’s first macroeconomic analysis of capital flight from a particular country. The study, authored by GFI Chief Economist Dev Kar, found that the DRC lost an estimated US$15.5 billion in illicit capital flight from 1980 through 2006. GFI has since revised its methodology a number of times, and the organization publishes updated estimates of illicit financial outflows from the DRC (and every other developing and emerging economy) on an annual basis. The most recent update is Illicit Financial Flows from Developing Countries, 2002-2011. GFI recommends citing from the most recently released research.